"These people are my family, and if you hurt them in any way, I will kill you." 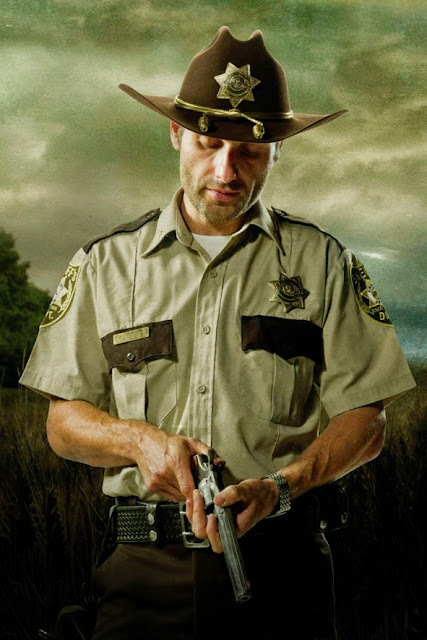 Rick Grimes is the protagonist and a survivor of the outbreak in AMC's "The Walking Dead". 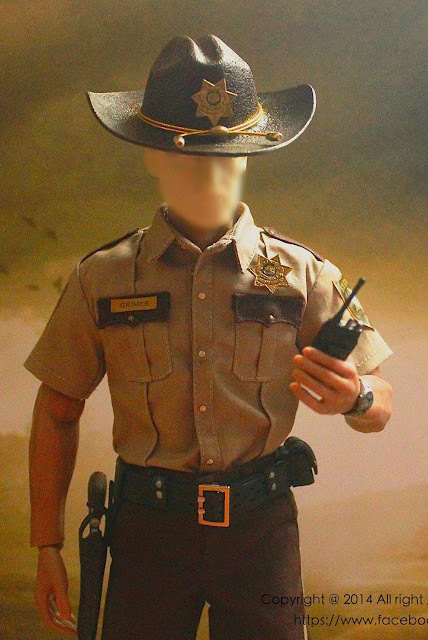 He is a former police officer of the King County Sheriff's Department, who was shot in the line of duty and fell into a coma, only to wake up and find himself in the midst of the zombie apocalypse. 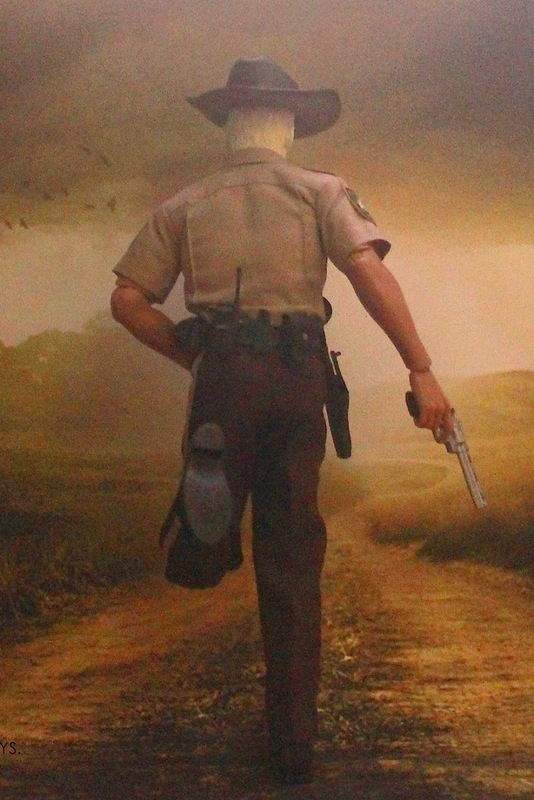 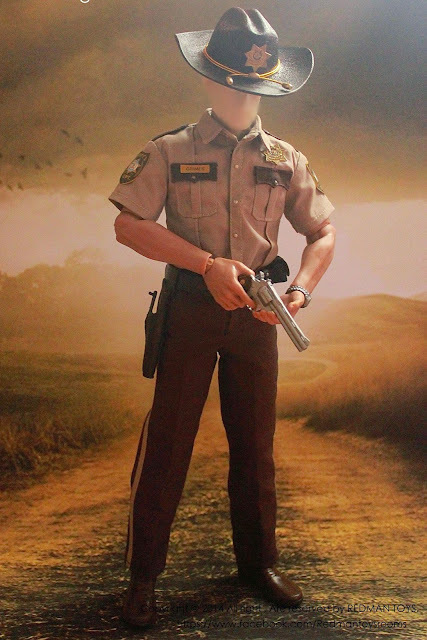 He travels to Atlanta, Georgia, searching for his wife, Lori, and his son, Carl, who have traveled to Atlanta with Rick's best friend, Shane Walsh, in search of a safe-haven. 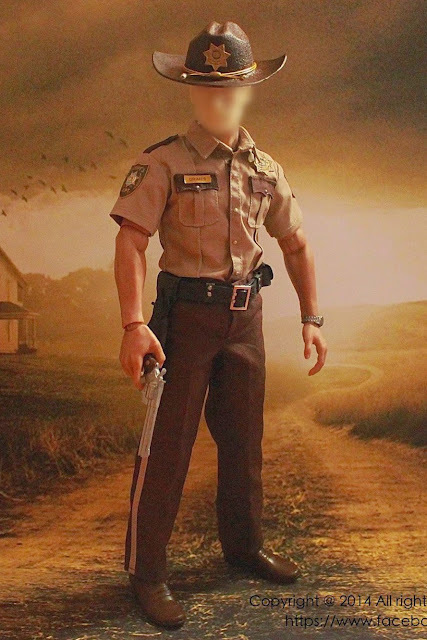 After he finds his wife and son, along with a group of survivors, he gradually takes on the role of their leader. 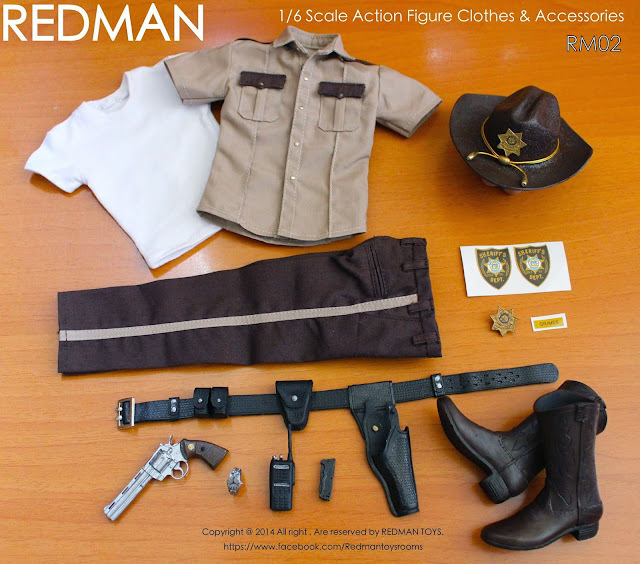 REDMAN: 1/6 scale Sheriff Police Edition Package RM02 will come with: Police Cowboy Hat / Stetson, Police Uniform Set, White T-shirt, Police Shoulder Badge / patch x 2, Name Tag, Gold Police / Sheriff's Badge x 2, Western Cowboy Boots, Police Twill Belt, 357 Revolver, Revolver Holster, Silver Watch, Gator Machete, Radio Walkie-Talkie Communicator, DMF Folding Knife, Handcuffs Pouch, Revolver Magazine Pouch. 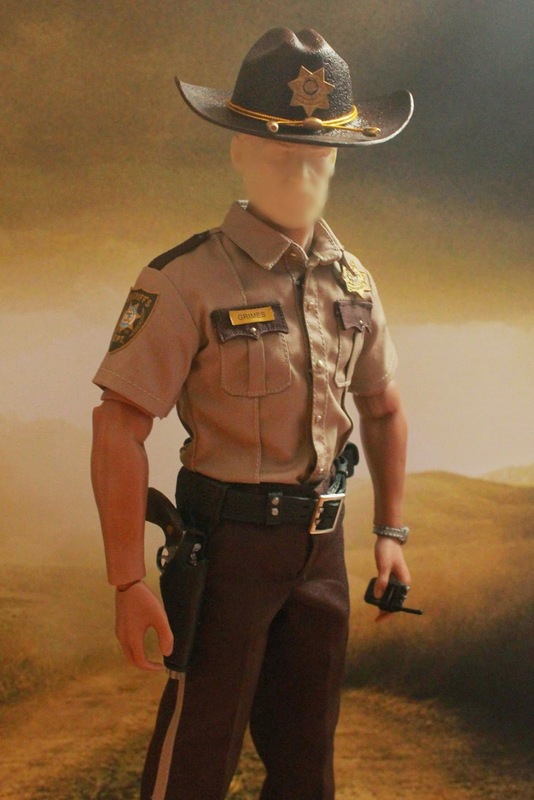 The outfit set is designed to fit Hot Toys TTM19 Body. 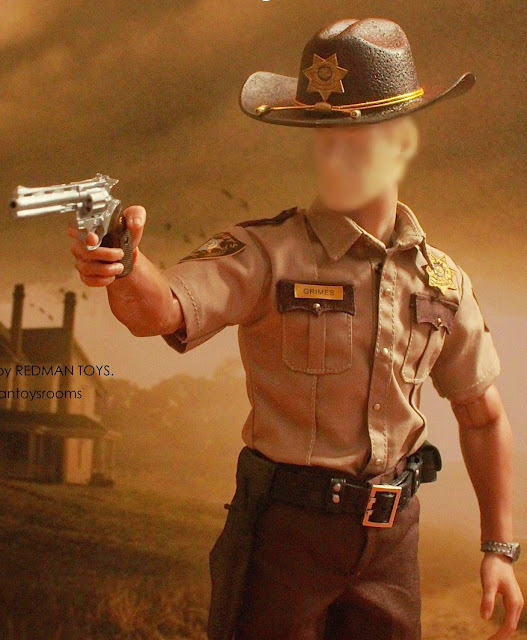 NOTE: Body & Head Sculpt are NOT included.